2. 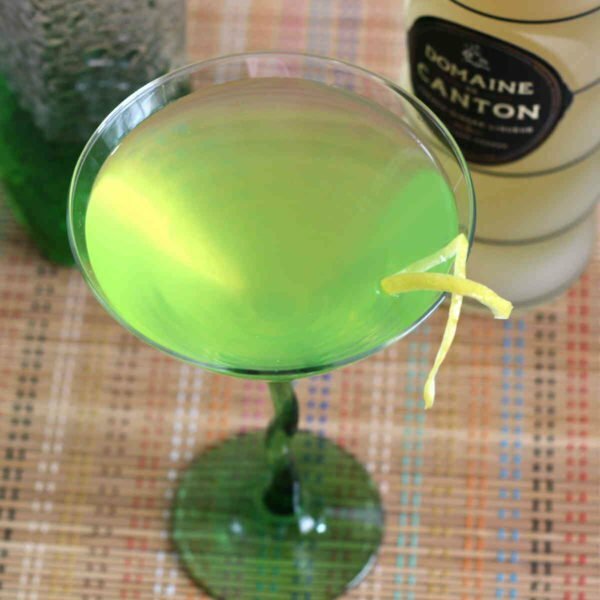 Honeydew Martini. 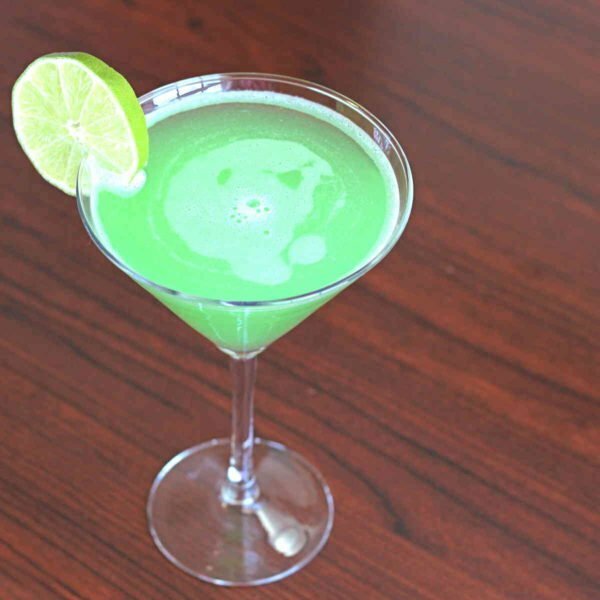 A beautiful shade of green, and so simple, it’s sure to agree with most everybody: vodka, midori and triple sec. 3. Or if you don’t love Midori that much, try the Honeydew-Ginger Martini. Midori with Domaine De Canton Ginger Liqueur, lemon juice, vodka and bitters. Made with fluffy, bakery style bread, this Italian-inspired dish is sure to be a crowd favorite at the dinner table. 4. Emerald Rain. The green color comes not from Midori (gasp! ), but from Hpnotiq mixed with orange juice. Very pretty and very drinkable! 5. Irish Flag. 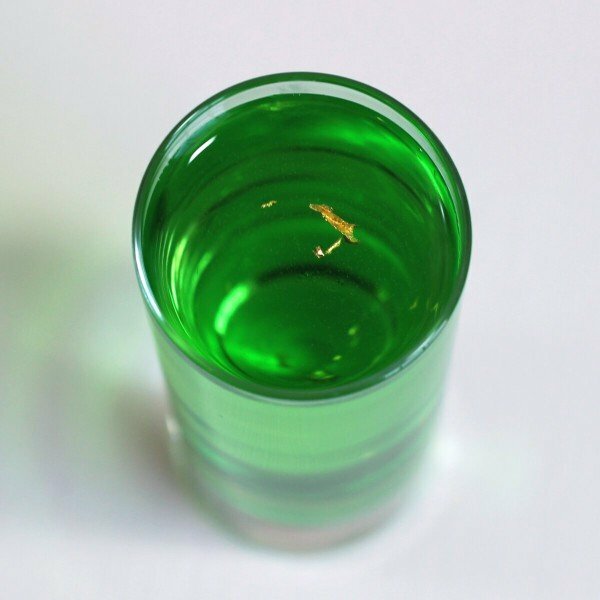 The colors of the Irish flag in a layered shooter featuring green creme de menthe, Licor 43 and Irish cream. If you’re not sure you can pour a layered cocktail, check out my easy layering tutorial! 6. The Grasshopper. This lovely old mint and chocolate classic is a beautiful shade of green. 7. Gold Emerald Shooter. It’s green and it’s got “emerald” in the name, so this drink makes a great choice. 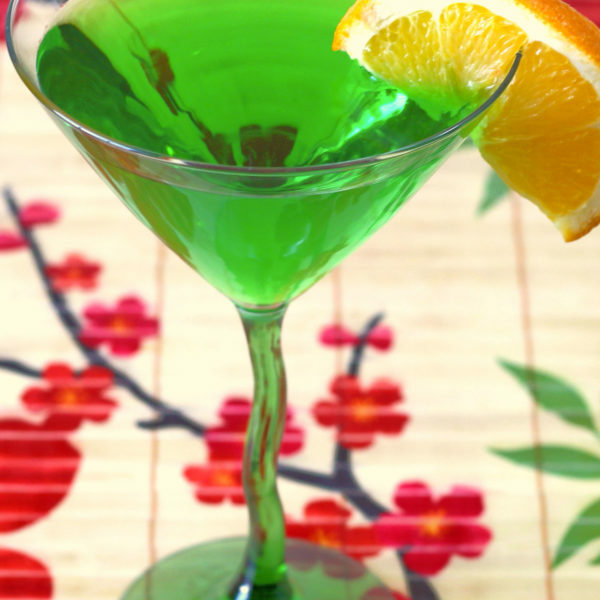 The flavor is a little unusual (Midori and Goldschlager), so it may not be a hit with everyone. But give it a try – it’s really good! 8. Misty Mint. 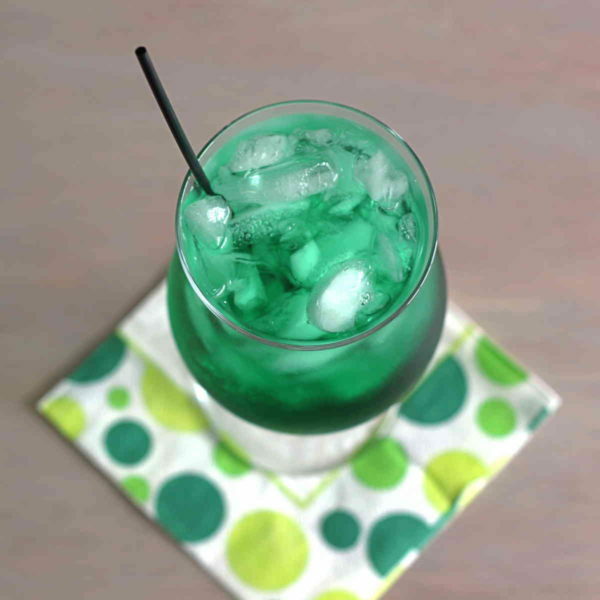 With green creme de menthe and light rum, this gorgeous emerald green drink is a hit for St. Patrick’s Day. 9. Irish Coffee. Hot, strong coffee with Irish whiskey and/or Irish cream, topped with whipped cream. 10. Emerald Isle. Gin gets a touch of green creme de menthe meets and three dashes of Angostura bitters. 11. Irish Hammer. 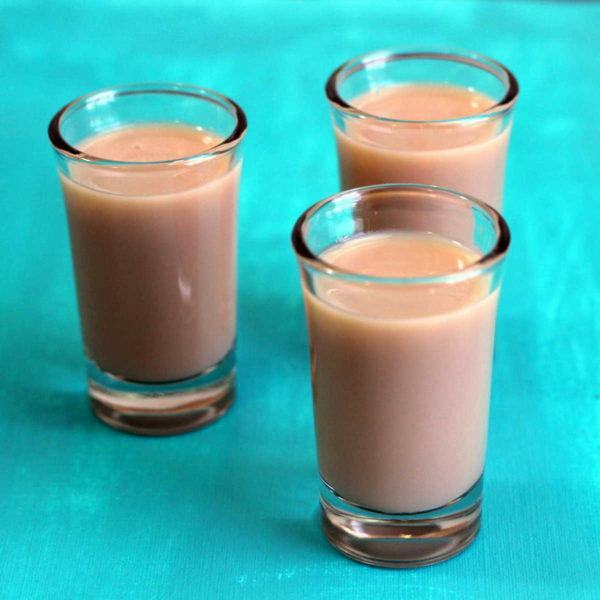 Need a shooter on your holiday party menu? Try this one, with Jack Daniels, Irish Mist and Baileys. 12. Evergreen. This may seem like a strange choice, other than the color. Tequila meets Midori and green creme de menthe, along with some white grapefruit juice and pineapple juice. 13. Jade. There are two quite different recipes called the Jade cocktail. 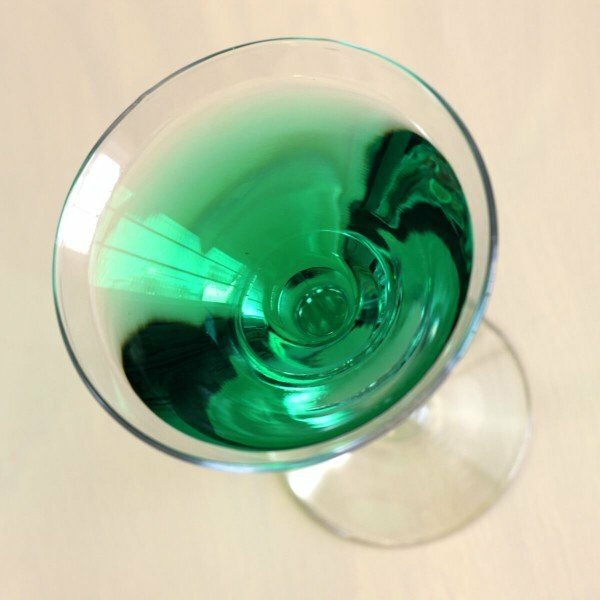 The link has both of them – the second would be more your traditional emerald green cocktail, but the first makes a beautiful lighter green, so pick whichever recipe sounds tastier to you. 14. Chocolate Leprechaun. This one’s definitely more St. Patrick’s Day in theme, but it looks like chocolate milk. Still, it’s delicious and lots of fun – and you could always add some food coloring (see the above linked green beer article for suggestions on getting the color just right). 15. Irish Cola. Another non-green one, this cocktail blends Jameson Irish whiskey with Baileys and cola. 16. 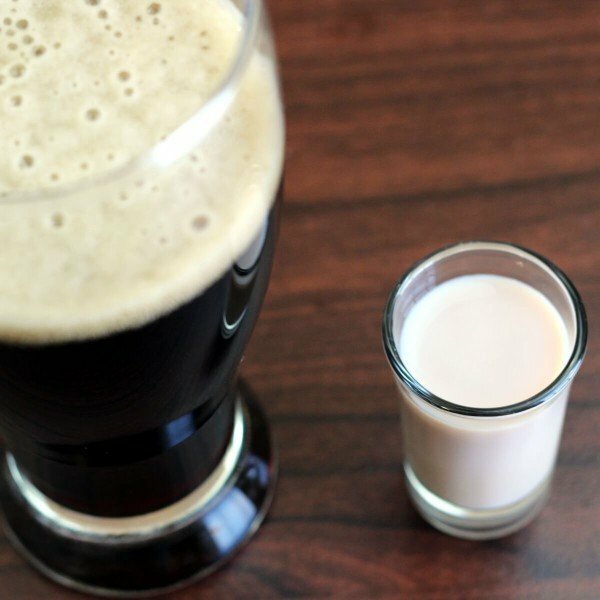 Irish Car Bomb. This is Baileys and Jameson dropped dramatically into a glass of Guinness. You can’t beat it for Irishness. The flavor is… well, you know, not everyone loves Guinness, but definitely worth checking out.